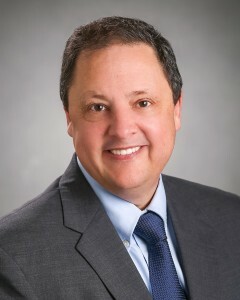 Charlie Klein is Executive Director, Global CO2 Strategy, Mass and Aerodynamics. His previous assignment was as Vice President, Vehicle Engineering General Motors Europe, based in Ruesselsheim, Germany. He was also a member of the Management Board of Adam Opel AG. Mr. Klein has broad experience within the Product Development where he was Executive Chief Engineer, Vans, Light Commercial Vehicles and Alliance Programs. Mr. Klein has also worked as Director- Chassis Driveline and Director of Global Mass, Energy, and Aerodynamics. Mr. Klein has also held a variety of Manufacturing, Planning, and Product Development positions, including Vehicle Line Director for Global Luxury Rear Drive Products, Area Manager – General Assembly, and Director – Manufacturing Planning. He began his career with General Motors in 1979 with the Oldsmobile Division in Lansing, Michigan. Mr. Klein has a Bachelor of Science in Mechanical Engineering from General Motors Institute (Kettering University), a Master of Science degree from the Massachusetts Institute of Technology and a Masters in Business Administration from Michigan State University. He was a GM Fellow and a Charles Stark Draper Fellow while at MIT.